Just a few steps away from the San Zaccaria dock, Casa Verardo is located in a typical sixteenth-century Venetian palace, fully renovated in 2000/2001, where the emotions inspired by the ancient house's atmosphere haven't lost their strenth throughout the years. 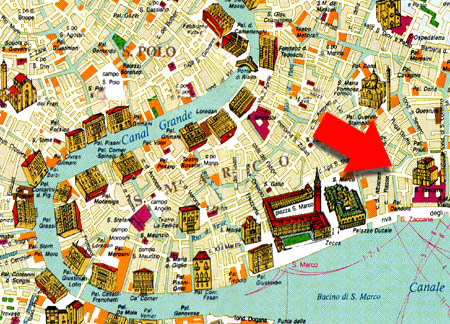 Casa Verardo, in fact, combines the charm of historic Venice with the comfort of modern facilities. ALILAGUNA water shuttle, from the airport entrance (departing every 30 min.) - Get off at SAN ZACCARIA (1 hour). Private transportation (taxi boats) is always available: fare is around 50 euros. Public ferry (ACTV) "LINE #1-TO-Lido" or "Line #82-to San Marco" - Get off at SAN ZACCARIA (20 min.) Private transportation (taxi boats) is always available: fare is around 50 euros.